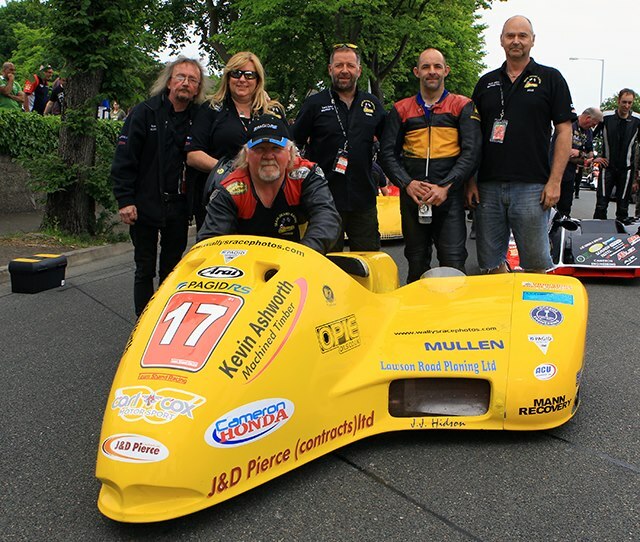 Opie Oils would like the say a massive thank you to Team Shand Racing for the amazing race report from there time at the Isle of Man TT 2016! Brake fluid is arguably one of the most important fluids in your vehicle – Opie Oils stock a huge range of quality products that are designed to give optimum performance and stopping capabililties. With offerings from brands such as Motul, Castrol, Pentosin and Millers to name a few, there is no doubt that Opies will have the perfect fluid for the task at hand. Below is a link to our categories of brake fluids types, simply click on the DOT of your choice for the full range including prices, specifications and application. For the vast majority of vehicles, a single fluid – brake fluid – is used in both the clutch and brake reservoirs. Check the cap of your clutch fluid reservoir – it should indicate if you need a special fluid. Dot 3 / dot 4 / dot 5.1 brake fluid – all available here for purchase online, plus “super” dot 4 – not an official brake fluid rating, but used on track / race / competition brake fluid. Brake fluid should be changed every 1 or 2 years. Over time, moisture diffuses into the fluid through brake hoses and rubber seals, increasing the water content. If your brake fluid is low, you probably have a problem such as a leak. Leaks and excessive moisture in the fluid can both result is a loss of hydraulic pressure and braking ability, so it’s as well to check and change your fluid periodically. You can find which DOT your vehicle requires, normally in your handbook. If you need any advice on the correct brake and clutch fluid for your specific set up or level of modification, then please feel free to get in touch – we’re in the office Monday to Friday 8:30 – 5:30 and can be reached on 01209 202 944 and sales@opieoils.co.uk. Are you working on a classic, vintage or veteran vehicle? Millers Oils Classic offer a range of engine oils, transmission oil and fuel treatments developed specifically for classic cars & motorcycles. At Opies, we stock a wide range of maintenance aerosols, lubricants and general problem solvers. However, there are few brands that come with such a rich history, or are so easily recognisable as WD-40. Established over 60 years ago, their signature blue and yellow can looks at home in garages and workshops all over the world. Free shipping on orders above £35 at Opies! It’s time for another public service announcement from Opie Oils here. We are offering free shipping on orders over £35 for this weekend only! This limited time offer is now active and running until midday on Monday 20th June, there is no code required, it will automatically apply the free shipping at the £35 threshold. This will leave you free to use your forum discount for 10% off your order! Unfortunately, we are unable to extend this free shipping offer to trade orders and it can only be used on orders to the Mainland UK. 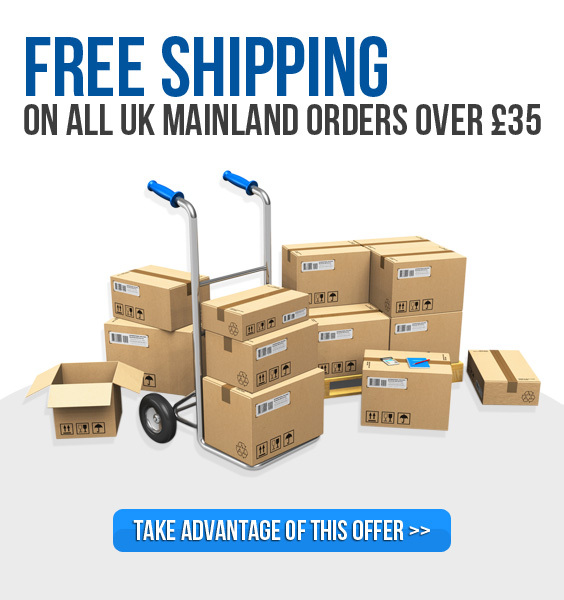 For those of you outside what the couriers class as “Mainland UK” you can use the discount code: ISLANDS10 This will give you £5.00 off your shipping for orders over £35, as well as 10% off that accounts for your blog discount, so we hope this helps. – Fuchs Titan Race Pro S 5w-40: 5 litres for £43.16 + free mainland UK shipping! – Castrol Edge Titanium 10w-60 FST: 5 litres for £35.96 + free mainland UK shipping! – Millers Oils Nanodrive CFS 5w-40 NT: 5 litres for £53.96 + free mainland UK shipping! With a huge range of products available, including an array of motorbike products, cleaning and detailing products, racing fluids and parts, gearbox and diff oils and our classic car range – there will be something for everyone. Our newest additions to the range include Thule roof racks, G-Force performance oils and Febi Bilstein parts. 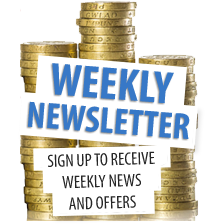 As always, our expert advice is free, so you can get in touch with us Monday to Friday 8:30 – 5:30 on 01209 202 944, email us at sales@opieoils.co.uk or simply drop us a message on here. 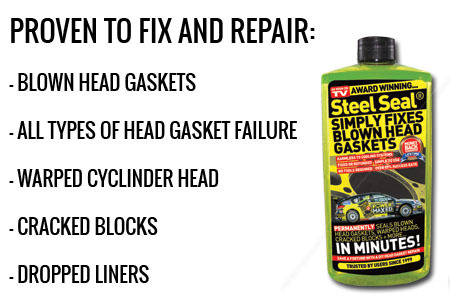 Have you got concerns about the condition of your head gasket? Is it on its way out or already leaking or blown? Cracked blocks or warped heads? Getting a mechanical repair or replacement can set you back hundreds, if not thousands. Steel seal have come up with an affordable alternative that WORKS – They are so confident in this product that it comes with a no quibble lifetime money back guarantee! We are currently offering 15% off ALL engine oils until midday on monday 13th – this limited time offer includes the entirety of our engine oil range, even covering motorbbike, marine and garden engine oils as well as top of the range car oils. Got a jetski? Not a problem, we’ve got an engine oil for that. With summer within reach, it’s only natural to get the washbucket out and an array of half opened, leaking and questionable detailing products. Not to mention the sponge thats seen better days and is starting to resemble swiss cheese. Perhaps it’s time for a bit of an update? Well, at Opies, we stock a huge range of quality cleaning and detailing products – from the likes of Autoglym, Bilt Hamber, Meguairs and Dodo Juice, whatever the task at hand, we’ve got the product for the job. Interior, exterior, and everything in between, at a great price. Don’t forget to use the code “OPIEBLOG” for an additional 10% off your order! Are you working on a classic, vintage or veteran vehicle? Perhaps you’ve got a restoration project tucked away in the garage or know someone that’s got their eye on renovating a classic motorbike? Well, just a quick heads up from Opie Oils here to let you know that we now stock the entire range of brand new Gulf Classic Oils, perfect for your side project or main workshop mission!